A peaceful protest was held by lawyers across the country over long pending demands related to the welfare of the advocate fraternity. 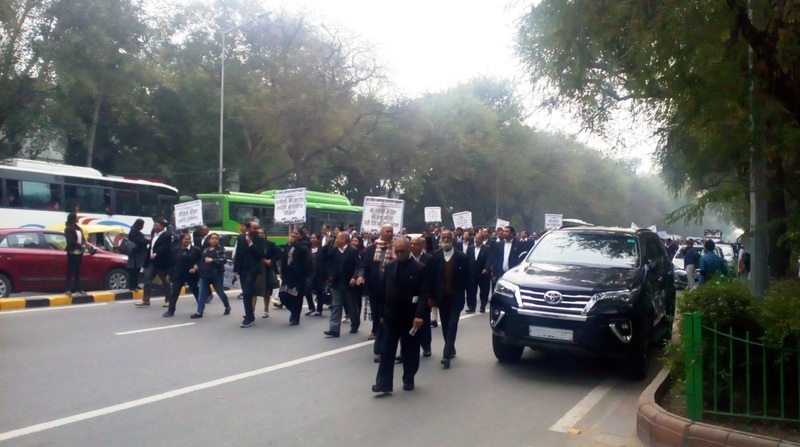 Organised by Bar Council of India (BCI), the all-India protest saw hundreds of lawyers march to press the government for medical facility, insurance, stipend to new law entrants, housing schemes, pension schemes, implementation of Advocates Protection Act, etc. “The protest has been for a long standing demand that the government works towards providing stipend to young members of the bar, medical facilities, pension etc. This is imperative as lawyers are officer of the Court,” said Kapil Sankhla, senior advocate, Supreme Court. 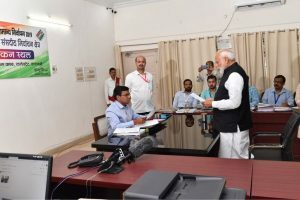 He said that even though lawyers from across India participated in the protest, work of the court did not suffer as lawyers appeared without bands. The BCI had called for the strike in association with the state bar councils and representatives of the various high court bar associations. The Sales Tax Bar Association, too, expressed full solidarity with the lawyers on the issues for welfare of advocates. Around 1.7 million lawyers across the country have expressed solidarity for the protest marches. Tuesday’s protest started at 12.30 pm and was led by office bearers of SCBA, DHCBA, coordination committee and other bar associations of Delhi-NCR besides BCI and BCD.